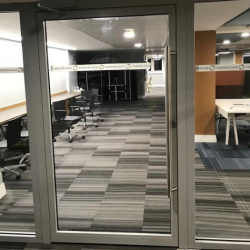 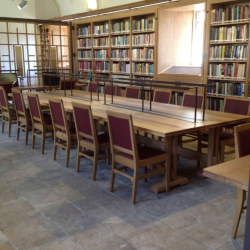 When Brasenose College required a hardwearing wood finish for the tops of the new library desks, an Osmo UK product was used for the wooden surfaces. 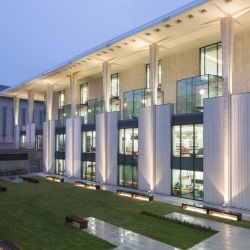 Pilkington Planar™ has played a part in the renovation of Tulsa’s 50-year-old Central Library building, which has been brought up to date in many aspects. 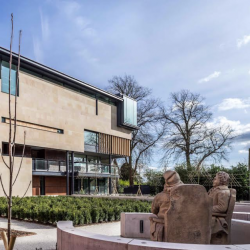 A £12.4 million extension to a library in Scotland is designed and built to comply with Scottish Building Regulations, with assistance from both Kingspan Insulation products. 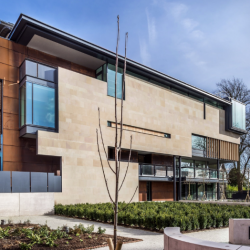 CMS Window Systems has delivered window and curtain walling for the new Dunfermline Carnegie Library & Galleries (DCL&G), crowned Scotland’s best building in the 2017 RIAS Awards. 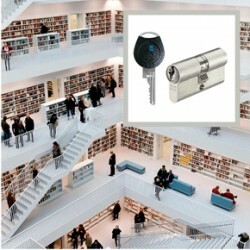 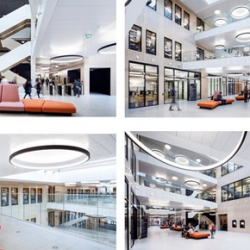 Armstrong’s metal and mineral ceiling and wall systems were specified for a new library development at Royal Holloway, University of London.